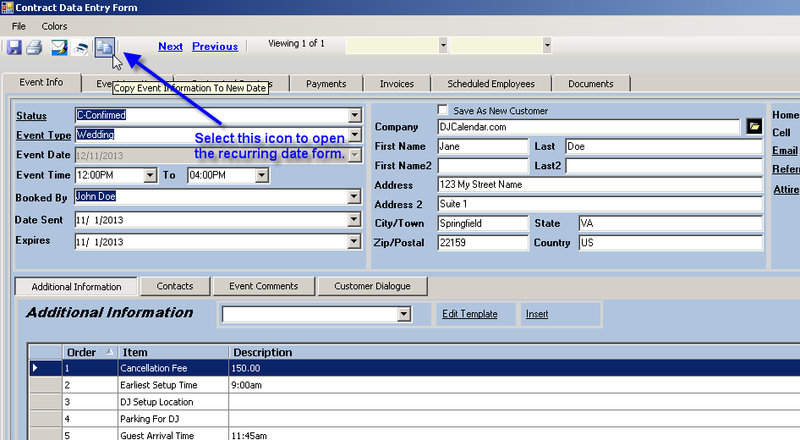 Open An Existing Event - From the Main Calendar, click on an existing event date. Launch Recurring Date Setup Form - From the toolbar, select the icon in the screenshot below...this will take you to the recurring date(s) form. 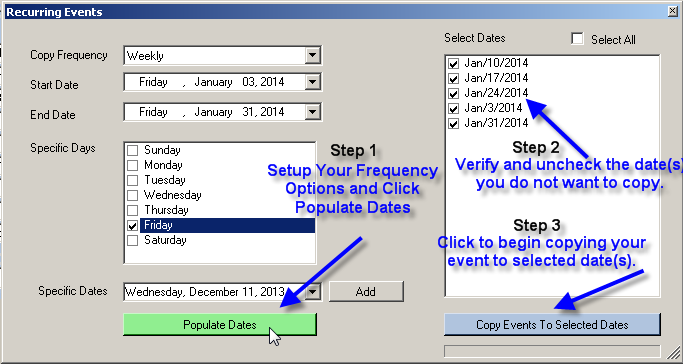 Setup Recurring Date(s) To Copy - Select your frequency options and click the "Populate Dates" button to display available dates withing your selected date range. Finally, click the "Copy To Selected Events Date" button to begin copying this event. Return to the Main Calendar to see your new event date(s).